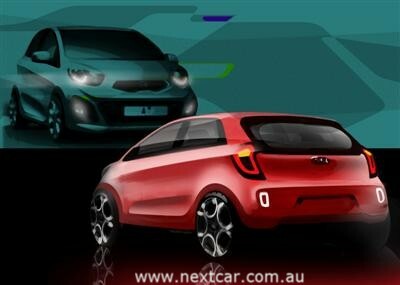 Kia Motors Corporation has today released the first design sketches of the next generation Picanto city car. It will compete in Europe's crowded "A" segment and, following recent Kia trends, the new model is designed to stand out from the crowd! Exuding self confidence, solidity and maturity, the next generation Picanto is designed to break the city car mould and will be unveiled at the Geneva Motor Show in March 2011.